ATTENTION! This offer is valid only on the territory of Russia, Ukraine, Belarus, Kazakhstan, Armenia and Turkmenistan. 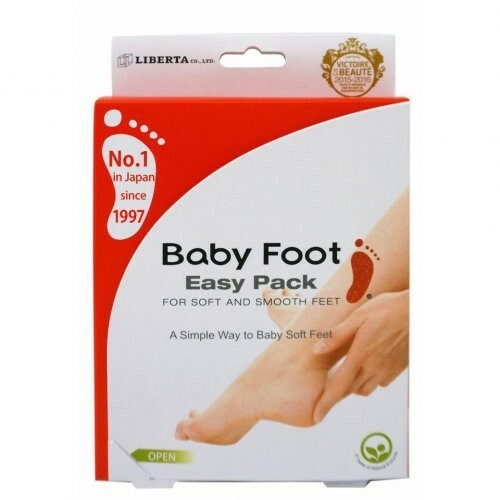 Baby Foot make your foot smooth and soft as a baby's foot. Are your feet as beautiful as you dream? Most people want to take care of their feet, since standing much at work, using tights or uncomfortable shoes, and even practicing sport activities can compromise the health of their feet and the quality of their life. The skin on the foot is thicker than elsewhere on the body and old skin cells accumulate because of the pressure, friction, weight and training that they have to put up with. Normally, fresh skin cells are produced one after another and push up the old cells to the surface; the regular turning-over takes about 28 days and the old skin peels off as dandruff. But if the feet are under pressure of excessive stimulation or they are overworked, more of dead skin cells are formed and the skin is not even able to do its turn-over and to be replaced. As a result, the skin on the foot sole becomes hard, dry, rough or cracked, flaky and powdery. The more the dead skin cells build up, the more they create bad odor as well as poor blood circulation which can cause cold feet. Therefore, it is important to remove the dead skin cells periodically to keep the foot healthy. A common way to remove the dead skin cells is to scratch with the foot file or pumice stone which can take away dead skin cells instantly. This method takes daily work and much effort. If you have scraped away the dead skin cells at home or in a pedicure salon, you may find the following: dead skin cells covering the entire base with several layers. 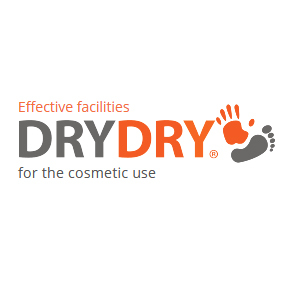 If parts of the dead skin cells are forced off, the surface of foot sole will be damaged, resulting in dry and cracked sole as well. The friction caused by scraping the dead skin cells creates a vicious spiral of accumulating more and more dead skin cells. The solution is then Baby Foot Easy Pack: no file, no scrub. 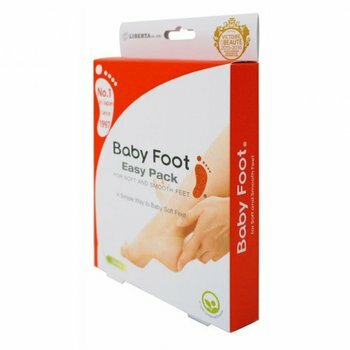 Now the right product is finally here to do the job with a single use and with a fantastic result: Baby Foot Easy Pack is a Japanese product that has been on the market for 15 years and is now the best selling foot care product in Japan. It has been accurately designed to easily handle those dead skin cells that cause problems to our feet, thanks to its 17 Natural Extracts that have an incredible moisturizing power: therefore its function is not only peeling off the dead skin cells, but also maintaining skin texture and moisturizing. The main ingredient is fruit acid (collectively referred to as Lactic Acid, Glycolic Acid, Apple, Citric Acid and Citrus Acid which are fully contained in fruit). It has been used as a folk remedy for the elimination of bacteria, the inflammation and psoriasis for several hundred years. In our time it is used in cosmetics, for production of food and bath salts because its effectiveness and safety. It is also used as odor remover due to the antiperspirant effect. 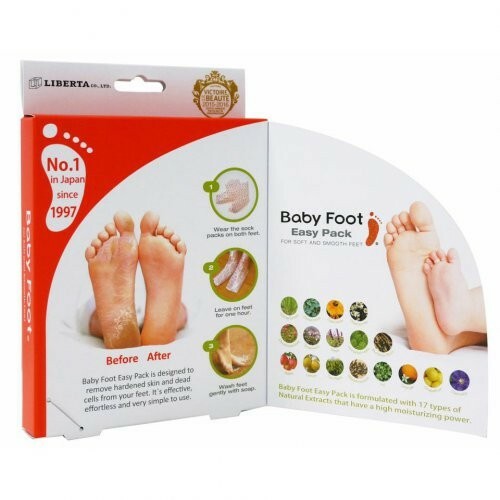 Baby Foot is simple to use, effective and effortless, and after 2-7 days, the dead skin cells start to peel off and the skin of your feet will be like a baby’s. Aqua (Water), Alcohol, Isopropyl Alcohol, Lactic Acid, Glycolic Acid, Arginine, Parfum, Butylene Glycol, Peg-60 Hydrogenated Castor Oil, Glucose, 0-Cymen-5-0l, Citric Acid, Malic Acid, Citrus Aurantium Dulcis(Orange)Peel Oil, Citrus Grandis(Grapefruit)Peel Oil, Dipotassium Glycyrrhizate, Cymb0p0g0n Schoenanthus Oil, Nasturtium Officinale Extract, Arctium Lappa Root Extract, Saponaria Officinalis Leaf Extract, Hedera Helix(Ivy)Extract, Salvia Officinalis(Sage)Leaf Extract, Citrus Limon Fruit Extract, Clematis Vitalba Leaf Extract, Spiraea Ulmaria Extract, Equisetum Arvense Extract, Fucusvesiculosus Extract, Chamomilla Recutita(Matricaria)Flqwer Extract, Camellia Sinensis Leaf Extract, Houttuynia Cordata Extract, Phenoxyethanol, Hydroxyethylcelu-Lose, Salicylic Acid, Sodium Nitrate, Glyoxal, Disodium Phosphate, Unalool, Limonene.